You wouldn’t normally consider a tropical isle, complete with white, sandy beaches, warm waters and a laid-back lifestyle, to be the place for golf enthusiasts. Yet it’s apparent from the number of top- quality golf courses opening up on favourite vacation islands around the world that golf has become the sport to add to the holiday to-do list. In Mauritius, some 2 000 kilometres off the African continent, in the Indian Ocean, it’s no different. Golf has been played here for well over a century, since the British military introduced the game in 1844. But it is only in the last few decades that the sport has become a drawcard for enthusiasts to the island, with Constance Belle Mare Plage becoming one of the more popular golfing resorts, thanks largely to its two championship courses. 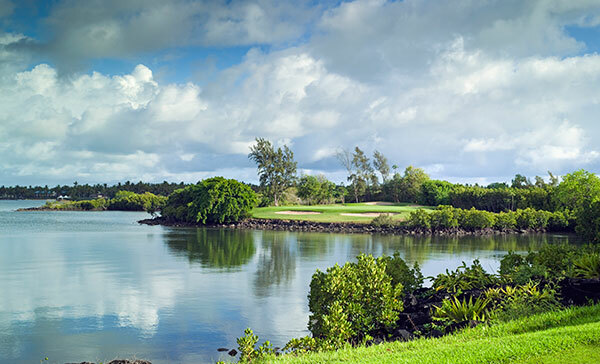 The golfing experience at Belle Mare Plage dates back to 1994, when the Legend course opened for play across a municipal road from the resort itself, on a site originally used to breed deer. Today these peaceful animals still roam the course. 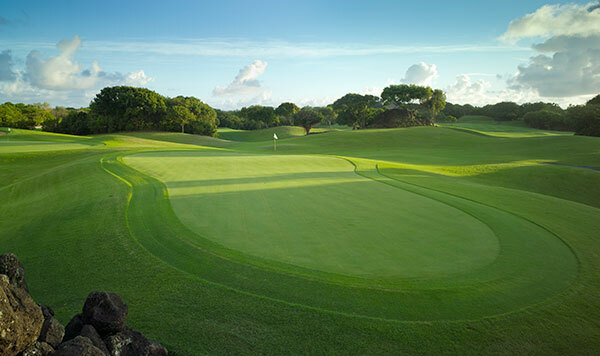 The 6 018-metre par-72 layout was designed by South African golfing legend and 22-time professional champion Hugh Baiocchi, and has previously played host to the Mauritius Open. The Legend course, with its interesting layout and its relaxed, luxury-resort atmosphere, is currently home to the season-ending MCB Tour Championship on the European Senior Tour, and has attracted the likes of Ian Woosnam, Sam Torrance, Colin Montgomerie and David Frost. The Legend is not what you’d consider a classical tropical island layout: it doesn’t feature many vistas of the white beaches and crystal-clear sea water, except on the signature par-three 17th, where you hit across a lagoon that stretches out towards the coastline in the distance. Instead, what you will find is a layout that meanders through the natural shrubs and swamps on the land, with water hazards on virtually every hole, some of which may not not be visible until you find yourself searching for your golf ball in the murky waters. Some of the holes require forced carries across hazards, while most of the danger is found on each side of the fairways, especially along the stretch from the 2nd to the 6th holes, where balls not finding the short stuff will more than likely be sinking. The par-five 4th hole is particularly notable for its hazards. Your tee shot on this 487-metre hole from the club tee is required to carry water on both sides of the cart path, before heading out to a fairway flanked by hazards running up both sides to a green surrounded by bunkers, thick bush and trees. Most tee shots will find the widest part of the fairway, but from here, it narrows quickly and the hazards come into play. Laying up will again find a wider area in the fairway, leaving a wedge into the green, but for those who have hit a long-enough drive to attempt finding the putting surface in two, there is not much bail-out area, except for two greenside bunkers, and from here, an up-and- down is not hard to achieve. Water is a dominant feature on the Legend course, especially on the approach shots and around the greens. The final two holes on the Legend offer an exciting finish to the round. The par-three 17th features a 145-metre carry over a small cove in the lagoon to a large, undulating green surrounded by five bunkers. The first trick here is not to get distracted by the lagoon views and likely scenes of someone waterskiing past, and the second is not to three-putt on the large putting surface. The final hole is a classic risk-and-reward par five, featuring water hazards on both sides of the green, with the majority of the right side of the hole protected by a large lake. The first risk is from the tee, where longer hitters will find the water coming into play on drives pushed out to the right. Finding the fairway that far out will leave a shorter approach that cuts out the hazards. However, it narrows considerably closer to the green, and four greenside bunkers provide respite, but leave a tricky up-and- down from there. Shorter hitters will easily find the green in regulation if they lay up in the right place, and a two-putt will have you enjoying your sundowners on the clubhouse deck so much more. Constance’s second course, the Links, is a short shuttle ride away, and offers a very different experience to the Legend. It is considered the easier, and the more scenic, of the two championship courses. Designed by Rodney Wright and Peter Alliss and opened in 2002, the Links features more undulation and elevation changes, with piles of volcanic rocks adding to the grandeur and challenge. This par-71 course measures only 5 942 metres from the championship tees, and there is noticeably much less water and fewer bunkers around, which is why it is considered the easier track. But catch the wrong bounce off one of the many undulations on the fairway and straight shots can quickly find their way into the bushy surrounds, much like on regulation links in the British Isles or one of our links courses in South Africa. Indian Ocean. The final four holes, in particular, require some careful course management just to finish off with a decent score. All four require forced carries across either water or rough, and in the instance of the short par-four 17th, which only measures 285 metres from the back, you need to carry thick foliage just to reach the fairway. Longer hitters can have a dip at the green from the tee, but you won’t see if it lands on the green, owing to the rise in elevation, and you might find yourself in one of the two bunkers near the putting surface, with anything left of the green in the thick stuff once more. The par-three 17th hole on the Legend offers spectacular views of the lagoon that heads out to the coast in the distance. The final hole is another tricky par four, where tee-shot placement plays a large role in whether or not you will be able to find the green in regulation. Anything too far right on the fairway of this dogleg-right hole will leave a shorter approach to the green, across a water hazard, but it also requires avoiding the palm trees blocking your view. Favour the left side of the fairway and you will have a clear shot to the green, albeit slightly longer, but the odds of finding it are much greater. With your round complete, the beautiful clubhouse that looks out towards the setting sun awaits. While golf isn’t something many South Africans would historically travel to Mauritius for, especially with most of the resorts offering all-inclusive packages for food, beverages and activities, you would be advised to haul your golf clubs along should you be checking in at Constance Belle Mare Plage or one of its neighbouring resorts. You can even take a few extra steps up the road from the resort to the One&Only Le Saint Géran to enjoy a more relaxed nine holes on the Gary Player design. 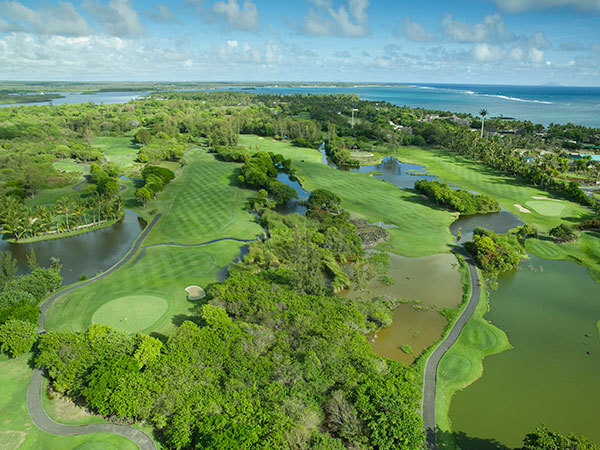 But for the serious golfer staying at either Constance Belle Mare Plage or the more exclusive Constance Le Prince Maurice, a short drive up the coast, greenfees are included in your stay and shuttles whisk you to the courses and back as you desire. ■ The service levels are impeccable, as expected from a five-star resort. ■ The courses are always in great condition. ■ Both courses are challenging, yet enjoyable for all levels of golfers. ■ The clubhouse at the Links course could do with some updating. ■ Pace of play can be slow during busy times. The new Mercedes-Benz C-Class is locally built to the most exacting standards and has driven its way into the record books with six prestigious JD Power quality awards. With the simple mandate to deliver the best, our designers and engineers have reimagined every aspect of the C-Class. From the effortless comfort of head-up display and keyless start, to the unrivalled standard safety features of COLLISION PREVENTION ASSIST and ATTENTION ASSIST. The prominent stylish design lines put the striking new C-Class in a class all of its own. Welcome to the car that represents modern luxury and advanced technological prowess and can only be described as the best. Book a test drive in the new C-Class today to experience superlative driving enjoyment.